Here at Kotaku, we spend most of our time focusing on games that are already out. That’s kind of our thing. But still, every once in a while we like to look to the future and get excited about what’s next. Here are the games we can’t wait to play in 2016. After Persona 4 charmed us all with its blend of old-school turn-based combat and high school drama, JRPG fans across the world have been eagerly waiting for the follow-up. 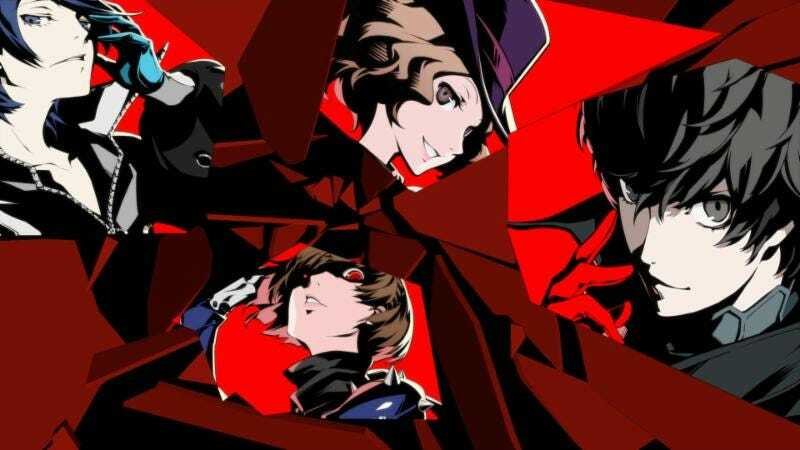 We can’t wait to get our hands on Persona 5 when Atlus finally releases it globally in late 2016. Could this be the Wii U’s savior? Originally scheduled for 2015 before Nintendo delayed it to fall 2016, The Legend of Zelda might be the last great game for Nintendo’s experimental console before we say goodbye to the Wii U for good. Can you say “destructible environments”? Announced back at E3 2014, Crackdown 3 is one of the best-looking Xbox One exclusives on Microsoft’s docket, and we’re excited to check it out in 2016. We’ve been waiting years for a new Mass Effect game, and we’re hyped to see more about the mysterious Andromeda Initiative. Here’s hoping BioWare can ditch the baggage from Mass Effect 3's ending for Andromeda, which will be out in 2016. Robot dinosaurs! Guerrilla Games has come a long way from Killzone, and we can’t wait to explore the open world they’ve created with Horizon, which will be out holiday 2016. This indie run-and-gun platformer was one of the most exciting things we saw at E3 2014. Just look at those graphics. We’re psyched for this one to hit in 2016. The next game from the makers of Gone Home, scheduled for 2016, takes place on a space station roughly 200,000 miles away from earth. We’re stoked to explore and uncover its mysteries. The talented folks at Platinum Games are pretty damn good at making action games, and we can’t wait to see what they bring to the table with Scalebound in 2016.